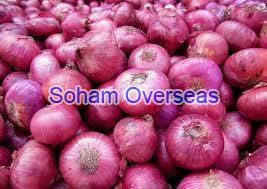 We offer Fresh Red Onion, which is popular for its unique flavor and pungency. This fresh vegetable is something that is used in everyday cooking as a flavoring agent, curry base and adds to the body of any gravy or sauce. It also makes for a great accompaniment in grizzled or caramelized form We offer this product in well-packed bags to ensure convenience in handling and long time storage.